Wayde van Niekerk makes South Africa proud! Wayde van Niekerk won South Africa’s first gold medal in the 2016 Olympics after his historical run on Sunday. 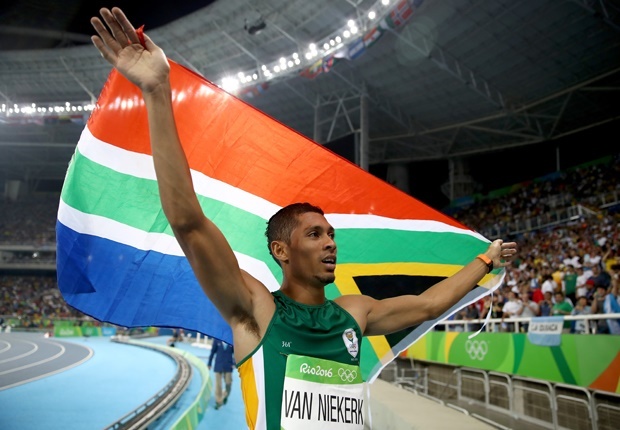 Van Niekerk stormed to victory in the 400m, setting a new record of 43.03. He smashed American Michael Johnson’s 17-year old world record by 0.15 seconds, winning the 400m gold medal in a time of 43.03.